To promote its latest video game console and the online gaming service, Sony is offering a free 14-day PlayStation Plus trial subscription. Those PlayStation 4 users who do not have PlayStation Plus accounts can head over to PSN Store to claim their free 14-day PlayStation Plus trail subscription and if they are lucky, they can even get their subscriptions extended to next several years. 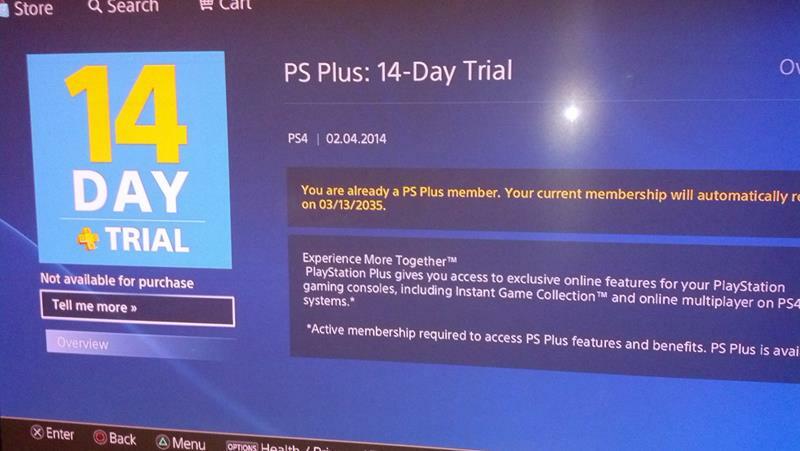 Registering for free PlayStation Plus 14-day trial membership requires user’s credit/debit card details, so after the trial period expires, the user’s subscription gets automatically converted to one month paid PlayStation Plus membership. This process helps Sony in attracting more traffic towards PlayStation Plus as most users become permanent member of the service after the end of 14-day trial and pay for their further subscription. However, there is this one lucky PlayStation 4 user who has found a way to get free PlayStation Plus membership for many years. The lucky user thought to share the method with others and so he contacted VG247 to explain how did this happen. According to the report, this lucky user (I keep calling him that because VG247 did not share his name) encountered an error while he was trying to claim his 14-day free PlayStation Plus trial membership, the error allowed him to gain free access to PlayStation Plus for 21 years. 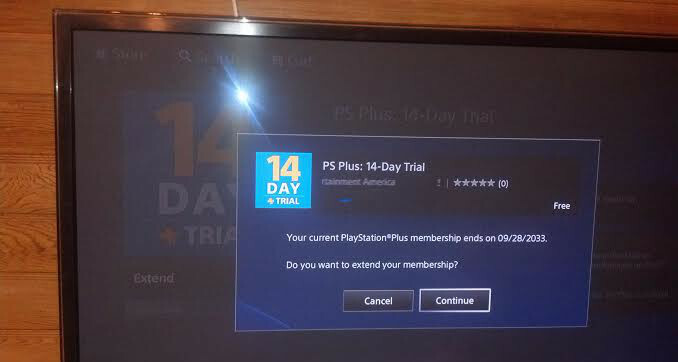 During signing up for 14-day free PlayStation Plus trial membership, when the user was entering his credit card details for membership renewal purposes, a window popped up asking the user if he would like to extend his free PlayStation Plus subscription. 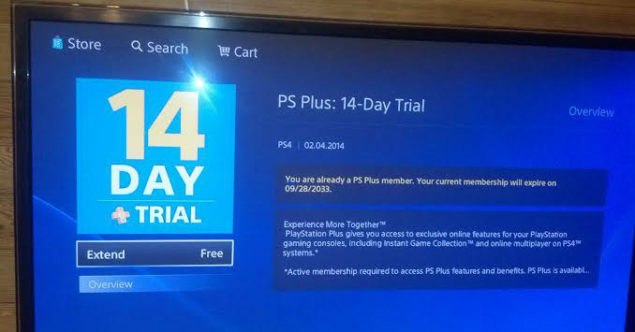 Increasing the trial period in 14-day interval, the user successfully managed to extend his free PlayStation Plus membership to the year 2033. Speaking to VG247, the user explained how he got a chance to become PlayStation Plus member for free. “I never had PS+ so I decided to give it a try on my shiny new PS4,” he wrote in a mail. “A new ad in the PS Store advertises 14 days free of PS+ if you have never had the service before.” To see if the error was still there, the user returned to his PlayStation Plus account and discovered that the glitch was still active. Taking advantage of it, he extended his free PlayStation Plus subscription from the year 2033 to 2035 and now he is enjoying 21-year free PlayStation Plus membership.